Belagavi: Since Minister Satish Jarkiholi elder brother Gokak MLA Ramesh Jarkiholi found asked his supporters to defeat Congress candidates in both Belagavi and Chikkodi constituencies, District In-charge minister Satish Jarkiholi has complained against him with the state leaders and asked to initiate disciplinary action. 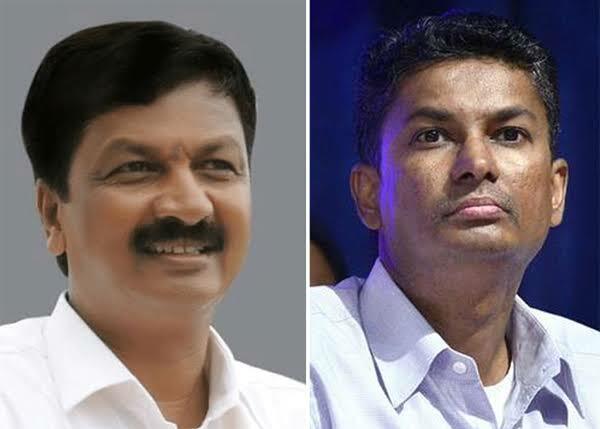 Speaking to news persons here on Wednesday, Satish Jarkiholi said Ramesh Jarkiholi was found told his supporters to defeat both the Congress candidates by voting to BJP candidates. He added that he was told the same at Nippani and Chikkodi. Ramesh is almost out from Congress and prepared to join BJP. To replace him, Congress has decided to field his younger brother Lakhan Jarkiholi from Gokak Assembly constituency. IPS officer in old currency exchange racket?